Paper discussed at Highland council today 7 March 2018. The debate will be available for viewing later at https://highland.public-i.tv/core/portal/webcast_interactive/374561 HIGHLAND COUNCIL Date: 7th March 2019 Report Title: Council preparations for EU exit Report By: The Chief Executive 1. Council has agreed 22 strategic improvement priorities and a Highland Improving Performance Programme for the Council which aims to make the connections across services and communities and drive the improvement. The proposed strategic improvement priorities are identified from the Council's knowledge of where performance needs to improve and where the Council has already set ambition for improvement. Overall the Council's key performance indicators (KPIs) for 2017-18 are performing well with 81% (22) either improving or being maintained. The principles that underpin the Council's values include that the Council will be fair, open and accountable. Motion to Highland council from the leader of the council Margaret Davidson on 7th March 2019 "The Council expresses concern over the proposals set out in the UK Government's White Paper on immigration, particularly that there will be no regional variation and that the salary threshold for skilled workers will remain at £30,000. This will have a significant detrimental impact on the Highlands. The Council's Programme "Local Voices: Highland Choices" was approved at today's Council meeting 7th March 2019, along with a Corporate Plan which provides the measures and actions required to deliver and monitor the Programme. The Corporate Plan also underpins the priorities set out in the Council's budget strategy and change programme "A Sustainable Highland" which was approved by Council in February 2019. High Life Highland's Chief Executive has announced that it is his intention to retire from the charity's top job in the summer. Ian Murray has been at the helm of one of the Highlands' largest charities since its inception in October 2011 when High Life Highland was created by The Highland Council to deliver and develop the local authority’s culture, learning, sport, leisure and health and wellbeing services. UNISON, the largest union in local government, welcomed the pay deal for local government workers agreed with COSLA today. UNISON members had voted overwhelmingly to accept the offer in January and have been waiting on the outcome of the other local government trade unions to conclude their member consultations. At the meeting of The Highland Council on 14 February 2019 it was agreed to increase Council Tax by 3% from 1 April 2019. Council Tax bills for 2019/2020 will be issued over the coming weeks. Despite an increase in the reported in-year overspend of £5.5M at the end of the third quarter, the Council is committed to bringing the budget back on track to be in a balanced position by year end. Additional measures to address the projected overspend began back in November, with vacancy controls, restricting non-essential expenditure, stopping non-essential travel and utilising (previously) earmarked balances. 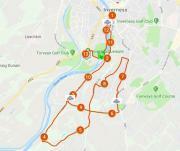 The 2019 Inverness Half Marathon and 5K events take place on Sunday 10 March and the Council is advising drivers that temporary traffic restrictions will be in place in and around the city during the event. The following routes will be affected: Bught Avenue closed between its con-junction with Bught Drive and its junction with Bught Road, from 12:00 hours to 15:30 hours on Sunday 10 March 2019. 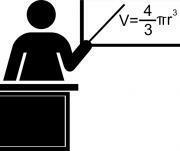 Anyone thinking of a career change and becoming a Primary or Secondary school teacher is being invited by The Highland Council to an information session to find out how they might become one of the next generation of teachers in Highland. The information event takes place on Saturday 9th March 2019, at Doorways, Central Primary School, Kenneth Street, Inverness, IV3 5DW from 11am - 1pm. Investment of an additional £1.5m for roads maintenance was approved as a priority area for the Council's revenue budget. The additional money will help to boost the annual budget for pothole repairs, clearing culverts, and bridge maintenance. 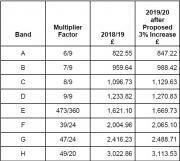 Highland council today agreed at the budget meeting not to apply the 4.79% increase recently allowed by Scottish Government in their budget but instead are restricting it to 3% increase for 2019/20. Council Tax is charged on all domestic properties and each property is banded in one of 8 bands (A to H) based on the assessed value of the property. One of the smaller cuts to save money at Highland council budget meeting today 14th February 2019 was the dimming of street lights on new LED systems. Further reduction in street lighting energy consumption between 24:00 and 06:00. Highland council today 14th February 2019 agreed a budget saving of £70,000 in grass cutting. Amenity Services maintains approximately 900 hectares of parks, open spaces and cemeteries on behalf of the Council. The Highland Council today set a revenue budget for 2019-20 with savings also identified for years two and three of the three-year budget. The Council approved the Council's change programme "A Sustainable Highland" which is set to deliver £37.456m savings over the next three years. Highland council agreed to another small saving t the budget meeting on 14 February 2019. £40,000 saving spread over two years 2019/20 and 20120/21. At the budget meeting held by Highland council today 14 February 2019 a cut of £250,000 for 2019/20 was agreed. The report stated - "There is a need to provide a greater focus on supporting Additional Support Needs in early years, with the roll out of 1140 hours. Highland councillor agreed to make saving in insurance premiums of £417,000 for 2019/20. The Council's current external insurance contract comes to an end at the end of financial year 2018/19 and some savings are anticipated to be delivered through the reprocurement.